Here’s this week’s round up! 176: Helping Ty with his dog run… I think Jeff and Ty had just told Justin he needed to eat more, ‘cause he’s so skinny. He’s celebrating. 177: Bucket o’ six kittens! 178: Hannah on the trampoline. 179: Next round of meat chicks. 180: Hannah playing with my phone at Michael’s ball game. 181: Fireworks to celebrate Canada Day! 182: Hannah checking the flowers at the trailer. 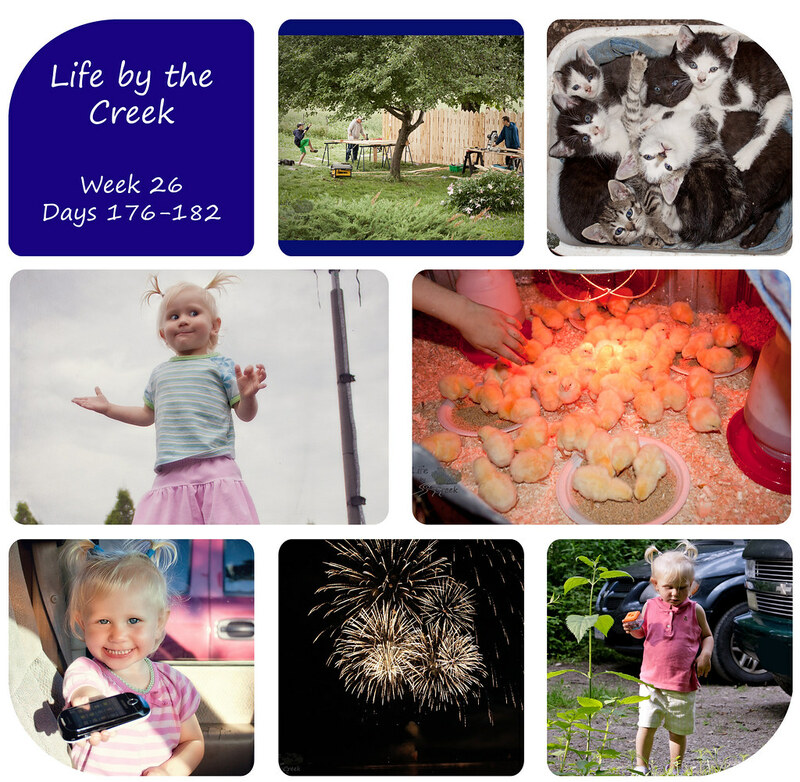 It’s been a busy week around the creek… and this week is worse! I’m heading to Sarah’s to check out more 365 projects, if you can spare a minute, you should too. Cute photos this week. Looks like a fun one. Love the fireworks shot. Hannah is so cute. Thanks for linking up!